Kevin (TTR400) rode across America and parts of Canada a few years back and I was lucky enough to meet him in Boston. I told him then that someday I would visit his country and come see him...well that day has come. I an enroute to South Africa to see Kevin (eventually). 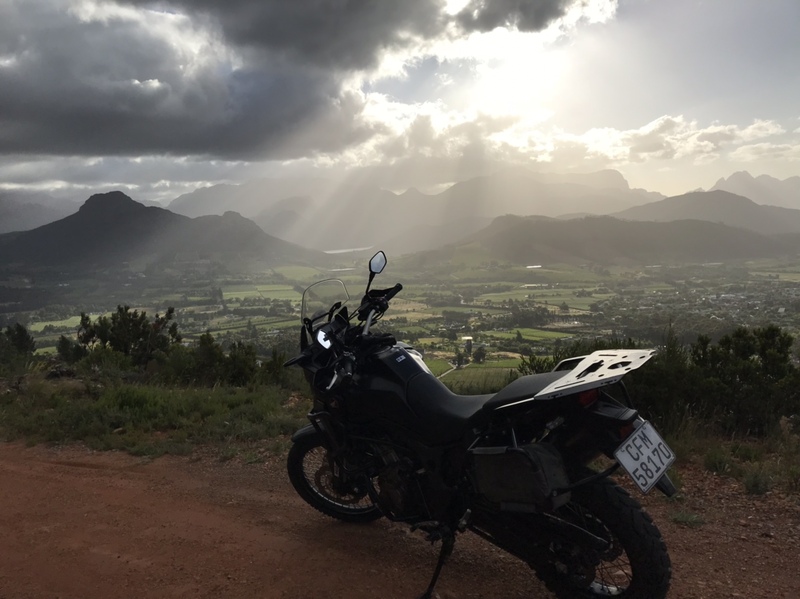 But first...ride a Honda Africa Twin in Africa....Cape Town to be exact. I have been wanting to test ride one for years now having wanted to buy the original...something about the name, fact that it’s a Honda, rally bike...I was hooked. One of the things on the bucket list (after seeing it on Long Way Down) is to ride Chapman Peaks Drive and stand on Cape of Good Hope...where the Indian Ocean meets the Atlantic Ocean. So Very Cool Good Luck..
Yeas, I had the good fortune to spend some time with Kevin on his way thru as well. IRS a beautiful country, allllmmmoooostt worth the plane ride. 16 hours stuck in a tube is brutal, even in the front cabin. Plus, you end up +6 hours so you arrive fried, tired, and off the clock. Nice one Andy, have a great trip. Am looking forward to the updates. I am looking forward to pictures and hopefully more dialogue. Me too. Had a great afternoon of conversation. What year twin are you getting to ride? Sounds like fun. End of the day no traffic! Looks nice, if I was looking to buy a new bike this would be pretty high up on the list. I am tuned in. This will be a good one. I’ll be interested in your impressions of the bike. Yesterday we had gone to the tip of the Cape peninsula - Cape of Good Hope where the Indian Ocean meets the Atlantic Ocean. So impressions of the Africa Twin so far....easy to ride straight away. Have not changed any ride settings. Just twisted the throttle and went. Feels planted in corners even with the dirt tires. 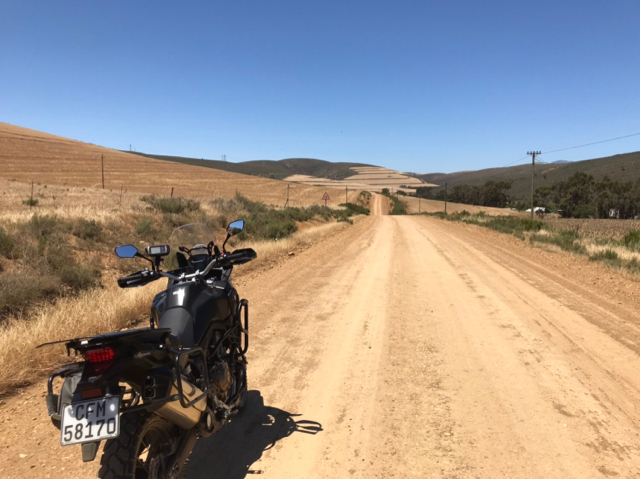 Feels good on dirt roads but it’s still a big bike - feels size wise the same as my VStrom DL1000 but with better acceleration. Aside from that just easy to ride. Not super fast but steady and predictable. A little underwhelming but that’s not a bad thing. It’s easy to drive. Spectacular!!! Thanks for sharing, you lucky dog! Awesome pictures man. So is your twin the manual or auto trans? Thanks Dukie! It’s a manual Africa Twin. I would have chosen the 2018 DCT but apparently it had been crashed the week before. The bike did well on the loose gravel and washboard. The rider was probably more nervous on the bike some steep hills to go down made it exciting. And that was it for the Africa Twin adventure...bike successfully dropped off at the end of the day. Next stop on the trip is a self-drive 4x4 camping tour in Namibia to see the desert...should be interesting! Wow Andy! Very envious. Enjoy and keep up the reports.